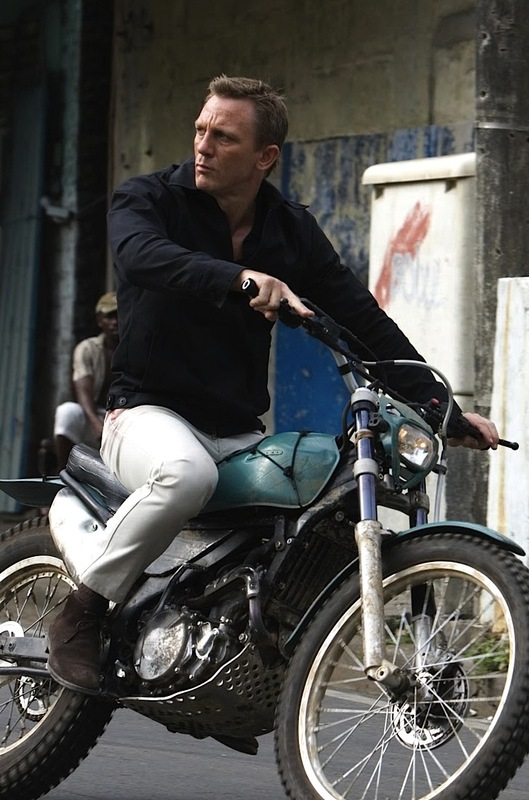 Daniel Craig as James Bond in Quantum of Solace (2008). Quantum of Solace ostensibly picks up minutes after Casino Royale left off (offering no feasible explanation of Bond’s radically different suit, though) and quickly establishes itself as the more action-oriented yin to the introspective Casino Royale origin story’s yang. The sequel was determined to feature every kind of chase possible; we are immediately treated to a pulse-pounding car chase along the mountains of Italy before the opening credits, and Bond finds himself engaged in a desperate foot chase through the town of Siena immediately following.